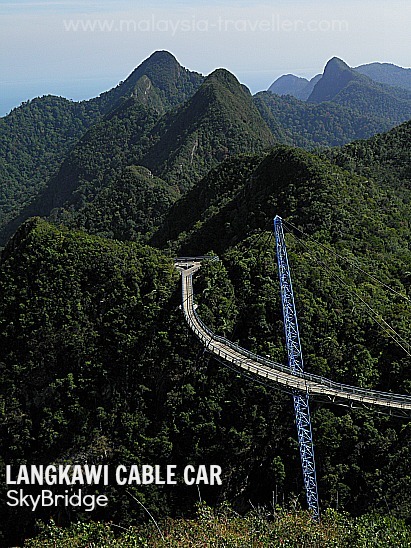 Langkawi Cable Car (officially branded as Langkawi SkyCab) may not be the longest or highest cable car in the World, or even in Malaysia (that honour goes to Genting Skyway). 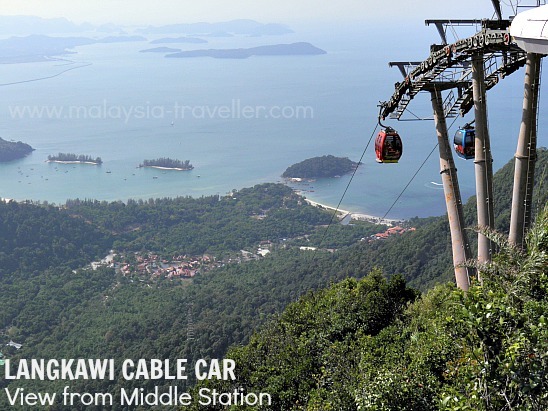 However it must surely be one of the most spectacular cable car rides in the world due to the stunning backdrop of the 450 million year old Machincang mountain range (the oldest rock formation in Southeast Asia). 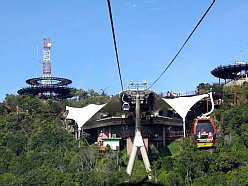 The exhilarating 15 minute cable car ride is 2150 metres long and climbs 680 metres, with magnificent views high above the treetops of dense rain forest. Base Station, where the journey begins and ends, is located at Oriental Village in the north west of Langkawi Island. From here the cable car travels 1700m to Middle Station. Middle Station is located at 650m above sea level. Passengers disembark here to admire the view and take photos before boarding the cable car again for the final 450m stretch to Top Station. Top Station is at 708m above sea level. 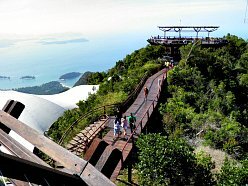 There are twin viewing platforms where you can catch the cooling breeze and enjoy superb 360 degree panoramic views over Langkawi and the surrounding area, including parts of neighbouring Thailand. One of the viewing platforms contains a small café selling drinks and snack items. At top station there is a gift shop and a post office counter where you can buy and write postcards and have them especially stamped. Top Station is also where you access the SkyBridge, an amazing 125 metre curved suspension suspended by a single pylon above a deep ravine between two mountain tops. The SkyBridge reopened to the public in February 2015 after a lengthy closure for maintenance. I was able to walk on it recently and it is well worth seeing. When I visited I arrived at Oriental Village around 8.30am hoping to take advantage of the clear visibility, good lighting for photos and cooler temperatures only to find that the cable car does not start until 9:30am. This was disappointing and by the time I returned at 10am there was already a queue building up (10 minutes queuing time). They should consider opening earlier. The cable car currently attracts around one million visitors a year so expect some queuing. The ticket price includes entrance to the SkyDome, a cinema showing simulated roller coaster ride lasting about 10 minutes and Sky Rex, a 3D dinosaur-themed experience. Entry to the SkyBridge costs an additional RM5. Safety comes first and the company is ISO 9001 certified. For safety reasons, the cable car will close during heavy rain, strong winds or lightning. 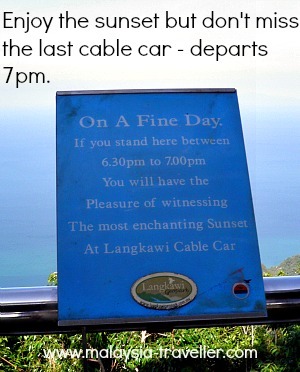 Langkawi Cable Car is also closed periodically for routine scheduled maintenance. The dates of closures are published in advance on the operator's official website so check there first to avoid disappointment. 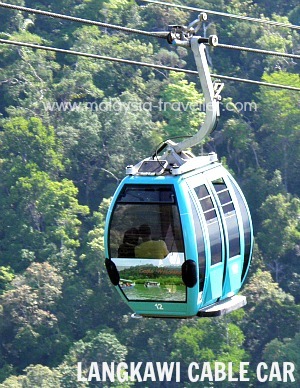 Each gondola contains six passengers and the boarding and queuing procedure is well organized. 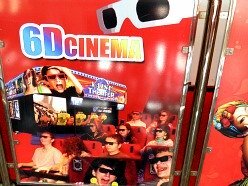 At the Base Station there is a newly opened 6D cinema (how many more D's are there?). There is also a large gift shop at the Base Station which you have to pass through in order to exit.